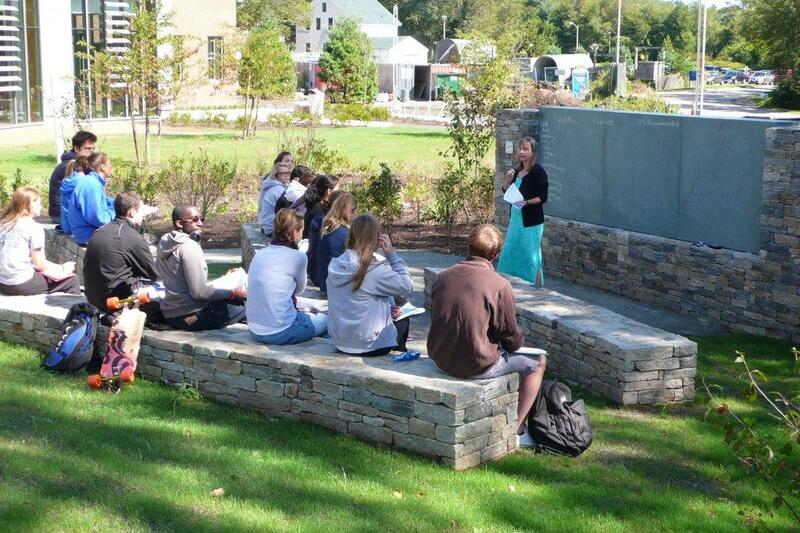 The addition of outdoor classrooms and seating areas, ranging from an amphitheater with the creek as its focal point to groupings of benches with attractive landscaping, will help BHS teachers to incorporate the creek itself into lesson planning. From the first settlers of the Gallatin Valley to agriculture, tourism & ecology, water resources are a formative force in our region. Science classes now have the chance to observe the re-naturalization of the area and compare water samples, pre- and post-reconstruction. The first plantings along the reconstructed channel from Main Street to Lamme demonstrate the potential of the site to serve as a native plants showcase. From north to south, young evergreen trees reflect the lower to higher elevation gradients of plant life in Montana’s varied topography. Each outdoor classroom and seating area will expand upon this concept and demonstrate key species and their uses, collectively forming an Arboretum of Montana. Both through active learning and in gaining seating areas along the reconstructed creek, students, teachers & community users will be able to enjoy the school’s creekside vantage and peek into nature, right in town! -Near Main Street, adjacent to the stream to take advantage of the area’s mature landscaping and shade trees. 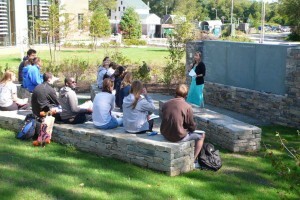 -Across from Lamme Street, a benched amphitheater with the stream front and center to host student research in biology, entomology, ecology, and ‘streamology’. -Immediately south of the high school’s main entrance, helping highlight the creek to all school attendees. 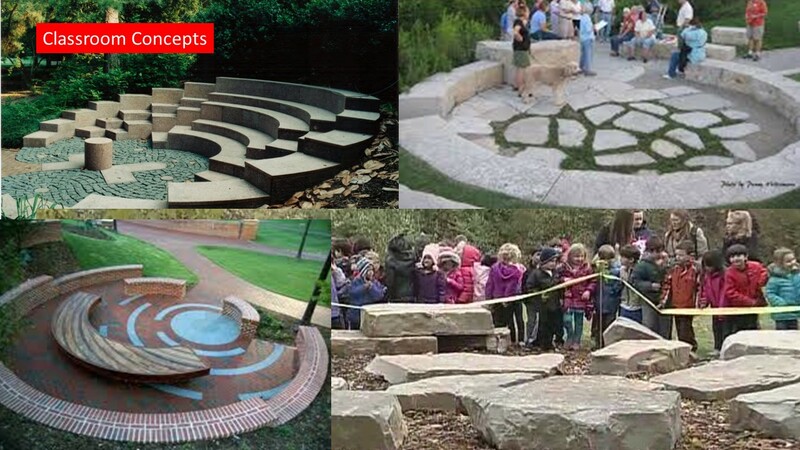 Benches and boulders will be added along the length of the creek, serving as pocket parks for all to enjoy!